Sony has confirmed the PlayStation 4 will feature voice command capabilities via its PlayStation Camera peripheral. Word of the feature first came down at Sony’s presentation during the GameStop Expo 2013 and has since been confirmed to Polygon by a Sony spokesperson. Sony Computer Entertainment of America group manager of retail training and advocacy Sean Coleman briefly outlined the camera’s features during the GameStop Expo presentation. He noted that when you add the PlayStation Camera kit into the mix along with the PlayStation 4, the pair work together to expand upon system features and enhance the overall experience. A new stereoscopic lens is said to track body movements in games and even recognize a gamer’s face for easier system navigation. Sony promised to share more details in the lead up to the console’s launch. Elsewhere, Sony said they have partnered with 21 third-party developers to secure exclusive game content for PlayStation platforms. Based on the wording alone, it sounds like this doesn’t mean exclusive PS4 games but rather exclusive in-game content. 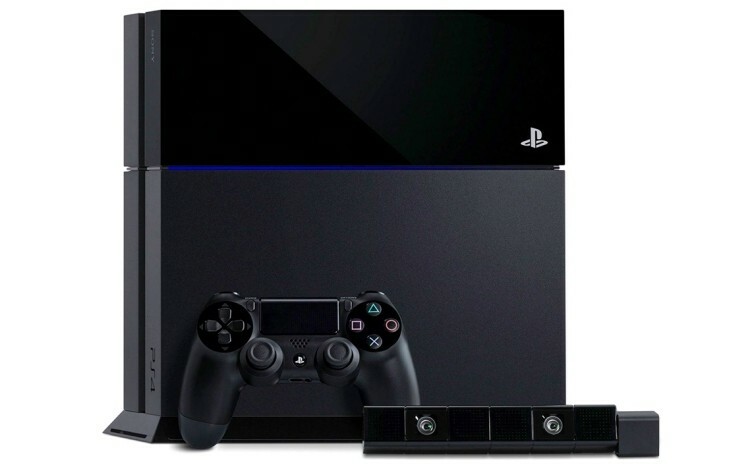 The PlayStation 4 will launch in North America on November 15 priced at $399 and on November 29 in Europe for €399. The PS4 won’t ship with the PlayStation Eye camera, however. That is a separate accessory that will command $59 in North America and €49 in Europe. The PS4 will include one DualShock 4 controller, one earbud mono headset, a power cable, a USB cable and an HDMI cable.